Global: Pay to remove one attacker from the attack zone to the field. If Angel: Avenging Angel is blocked but not knocked out and the Distraction global is used to remove Angel from the Attack Zone, his ability is still activated. Angel was blocked, he was not knocked out, and therefore deals the 2 damage to the opponent. Spider-Man: Wall-Crawler's ability triggers immediately when assigned to attack. If the Relentless global is used to prevent all blockers, the Distraction global could not be used to prevent Spider-Man's effect. Spider-Man would be unblocked before the opportunity to use Global Abilities happens so you could pay for his ability, have it reduce your opponent's life to 10, and then your opponent would have the option to use Distraction on Spider-Man. Whether they use Distraction or not doesn't interact with Spider-Man using his ability. Beholder: Master Aberration could use basic action Imprisoned to capture an opponent's dice and then the player could pay the Distraction global to pull Beholder back from the Attack Zone, preventing damage to the opponent and keeping the dice captured. ^ spiderman+relentless vs distraction. Wizkids Rules Forum. Retrieved 2015-06-20. 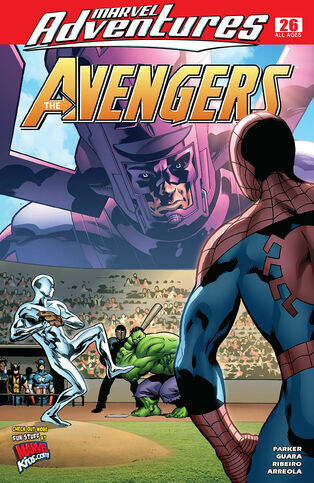 ^ Marvel Adventures: The Avengers Vol 1 #26. Marvel Database Wikia. Retrieved 25 July 2015.